"Alliance of American Football by Legendary Field Exhibitions | Discover the next great app!" Enjoy the most interactive, real-time, play-by-play fantasy football game on the planet. Get into the game like never before with The Alliance of American Football’s official app. Compete in the preeminent interactive, real-time fantasy football game while enjoying integrated gaming options — for you, and the players you are watching. Watch live video of the games. The Alliance of American Football’s inaugural 10-week regular season begins Saturday, Feb. 9, 2019. Join The Alliance and experience pro football at unprecedented speed. Our games are broadcast on CBS, CBSSN, TNT, NFL Network, and Bleacher Report Live. Most games are live streamed on our app. The Alliance of American football, co-founded by Hall of Famer Bill Polian, first and foremost is about quality football. Parallel to that, The Alliance also exists in part because it is on the cutting edge of innovation, a landscape of incomparable analytics, progressive algorithms, machine learning, and artificial intelligence. The league captures and generates live data and traditional stats, all available in The Alliance app. Download the app today and join The Alliance. Coach The Offense Put your football IQ to the test by going inside the game, analyzing the defense, spotting trends in play calling, identifying mismatches and predicting the offensive coordinator’s next move. Follow the live action via near zero-latency avatars and predict every play. The Alliance experience is nonstop inclusive football. Experience Football Like Never Before The Alliance’s integrated fantasy game will revolutionize the way you watch sports. The Alliance app offers real-time animation of each game paired with deep preCast analytics and interactive features. While the action happens, you can watch players huddle up, go into formation, run plays, following player movement as the plays happen, tracking the ball and watching the result of the play and scoring of your prediction, providing fans with real-time data previously available only to team coaching staffs. Join The Alliance The Alliance makes pro football accessible to fans of all ages. Purchase tickets to see your favorite Alliance team, enjoying quality pro football, unique entertainment and affordable prices. Experience The Alliance in person and cheer on your team. Tickets are available for purchase in The Alliance app with family-friendly ticket prices and unique options for group ticketing, VIP access and flexible ticket plans. Show your allegiance by purchasing team gear, including jerseys, T-shirts, hats, sweats and everything that makes an Alliance game or tailgate stand out. About The Alliance of American Football Led by some of the most respected football minds in the game, The Alliance of American Football is an eight-team league driven by high-quality professional football and fueled by a dynamic Alliance between players, fans and the game. 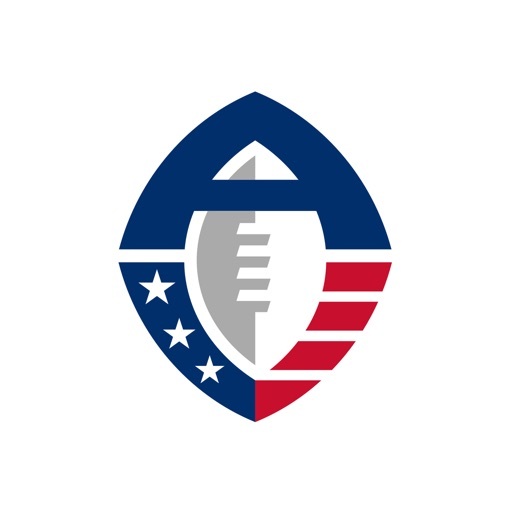 Founded by TV and film producer Charlie Ebersol and Hall of Famer Bill Polian, The Alliance will begin a 12-week season February 9, 2019 on CBS and culminating with playoffs, then The Alliance Championship on April 27, 2019, in Las Vegas. Live streaming of some games may be limited due to network TV relationships. Copyright Alliance of American Football. All Alliance of American Football trademarks and copyrights used herein are the property of the applicable Alliance of American Football entity. All rights reserved.